Stephen Murtagh knows from heartbreaking personal experience what it is like when a loved one dies in hospital. His 31-year-old wife Janine died in November 2002 in the Royal Victoria Hospital six weeks after what was meant to be a routine procedure to investigate fertility problems. It later emerged that Janine had developed peritonitis as a result of her small bowel being perforated during the laparoscopy. This severely affected her lungs and their ability to function and ultimately led to her death. Over the last nine years, the circumstances surrounding Janine’s death have been investigated by a number of authorities, including the hospital, a six week long inquest, the Regulation and Quality Improvement Authority (RQIA) and a review was also carried out on behalf of the Department of Health. Stephen also successfully pursued a medical negligence case against the hospital. The inquest found shortcomings in standards of care and the coroner said the delay in surgery was “significant” in causing death. The RQIA report made 11 recommendations and identified areas of concern. The recommendations included the need for better training of staff and clearer guidelines about what to do when things go wrong. The report also said that it hoped lessons would be learned from Janine’s “sad and unnecessary loss of life”. 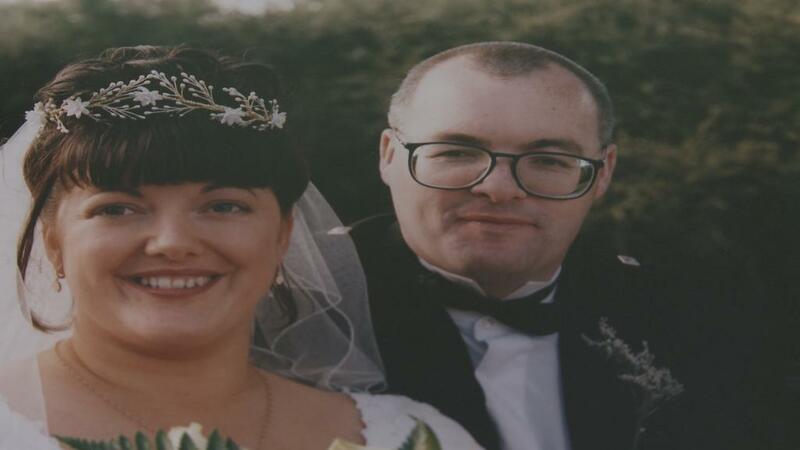 Despite the investigations and reviews which have taken place, Stephen says he is still waiting for concrete changes to be implemented to improve the health system and, ultimately, to prevent another death like Janine’s. He is due to meet with Health Minister Edwin Poots today – two years after a meeting planned with former Health Minister Michael McGimpsey was cancelled by the minister. It was never rescheduled. In an interview with The Detail, Stephen, who now lives in Lisburn, spoke about the impact of Janine’s death on his and Janine’s family and the frustration of waiting for action to be taken. He said: “We have had ongoing discussions with the hospital. After Janine died we were looking for honesty, accountability and for measures to be put in place so that this wouldn’t happen again but instead they acted out of self protection and threw a corporate blanket around their staff. “No one has been held to account in relation to Janine’s death. No one has been sent to be re-trained. They didn’t act in the interests of the patients or the wider public in Northern Ireland. Stephen is hoping his meeting with the Health Minister this week will make a difference. “We have always wanted the truth, not just for our sake but so that people learn from it,” he continued. “We have been told in the past that having local politicians in a local Assembly working for local people will make a difference. I hope it does. The last nine years have had a major impact on Stephen and the wider family circle. Stephen explained: “I actually can’t remember what 10 years ago was like. Janine was at the centre of all of our lives. There’s not a day goes past when she’s not spoken about. Life has changed, not for the better. Nor will it change for the better. “If Janine had died, God forbid, in a car accident or through disease, I could probably come to terms with that. But I can’t come to terms with the fact that a 31-year-old girl goes into hospital full of life and with so much to give for what the hospital calls a routine procedure, and six weeks later dies. Stephen warned other families dealing with investigations into deaths following an adverse incident that they have a difficult road ahead of them. “I can only go by our experience and the experience of speaking to other families who have been in similar situations,” he said. “From the moment that their loved one dies they will be met with a wall of secrecy. It’s not a very friendly service when your loved one dies and you’re trying to get at the truth. That corporate wall goes up and it’s very difficult to get over it. “I think the least anyone expects when a loved one dies in hospital is that the authorities are open, they get at the truth and they deliver changes. It’s sadly lacking in all cases that I have read of and in our own case.